Microsoft is the owner of Mojang, developer of the ultra-popular Minecraft sandbox building game. And at the E3 video game conference, they want everyone to know it. In between the usual slew of console exclusives and hype about the future, the company dedicated a little time to Minecraft exclusively. 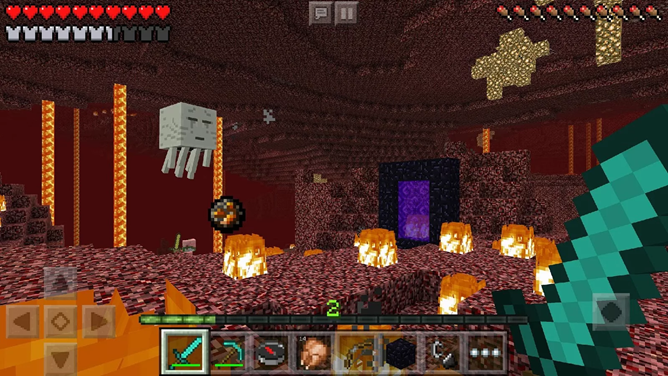 At least some of the new additions for Minecraft were released immediately for the Android version, most notably access to Realms servers and cross-platform play with the Xbox 360 and Xbox One. The mobile releases of Minecraft already had support for cross-platform play among Android, iOS, Windows Phone, and PC versions. The latest update allows you to join servers along with Microsoft's home consoles and also opens up Xbox achievements, as seen in the most recent beta. But that's not all: the Minecraft Realms integration that was introduced in the beta is now live. For the uninitiated, Realms are professionally-maintained Minecraft servers that players can rent, so that they don't need to host games on their own machine in order for others to access their shared sandbox 24-7. Realms servers start at $7.99 a month, but there's a free month of trial access available to check it out. Horses, Pig riding, Mutton, Carrot on a Stick. Though Microsoft would obviously prefer you play Minecraft on a PC, Xbox, or Windows Phone, it looks like they're not so desperate that they intend to hobble the game's much-loved cross-platform capabilities. Expect a steady stream of updates to the Pocket Edition for the foreseeable future.